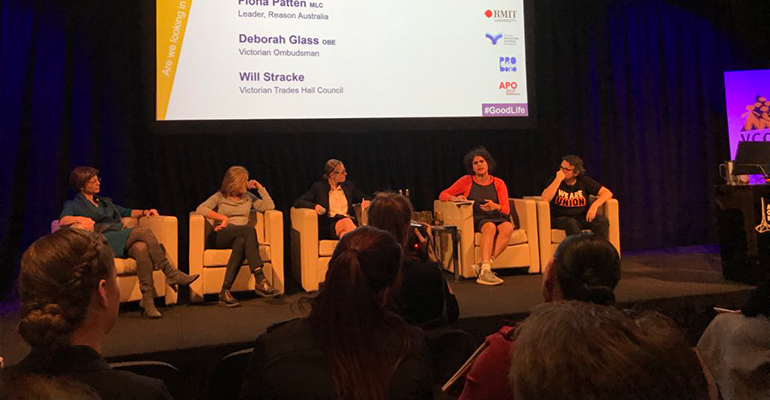 [From L-R] Deborah Glass, Fiona Patten, Kristy Muir, Nayuka Gorrie and Will Stracke speaking at the 2018 VCOSS Summit. Photo credit: Eddie Moore. Patten said that a “diversity of voice” was needed in parliament also, but believed that things were getting better. “It’s a lot better than it was three years ago, but it’s by no means perfect or good,” Patten said. Glass agreed that leadership needed to be more representative. Gorrie told the summit that people in the sector should all be trying to work themselves out of a job. “We shouldn’t plan on retiring from the work that we’re doing. Particularly for people who work with Aboriginal and Torres Strait Islander people,” Gorrie said. “It’s very frustrating to see white people having entire careers where a black person could be doing it, or in organisations that exist just to exist. “The sector does a lot of damage to a lot of black people, who work for them but also who they work with or exist for,” she said. 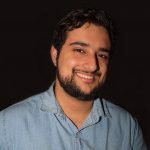 “I think a lot of not for profits make a lot of money and the Indigenous Advancement Strategy was a really good example of that. Most of the money in the strategy went to non-black organisations. Gorrie said charities and not for profits needed to show leadership to address issues of white supremacy in the sector. “They absolutely [need to] and I do think it is possible. There are organisations that are already doing really good work and leading the way,” she said. “I think it’s about having that culture in your DNA I guess. But if you only have white people on your board and if the composition of power is made up of white people, then of course the way of working is going to be white. An important matter. Yes, it is primarily concerned with Australia’s indigenous people, and rightly so. And with a Victorian slant – good too. However, this article does promote the idea of diversity in leadership. So – this is just my own idea, and concerning the Federal Parliament. How Australia’s Leading White Anglo Saxon Males must love to keep that Section 44 in the Australian Constitution.! True, they let in the odd woman and dark-skinned person, and even Aboriginal. But that “dual citizenship” thing is making it hard to impossible for people of migrant families to become MPs. Is the entire world really as simple as being black versus white? Is every political stances defined by the colour of your skin? Do all black people speak with one voice? Does Ms Gorrie have the only possible view on this topic? She definitely uses the term “white supremacy” in a very muddled headed way. So many corrupt governments in the African continent consist of entirely black officials.